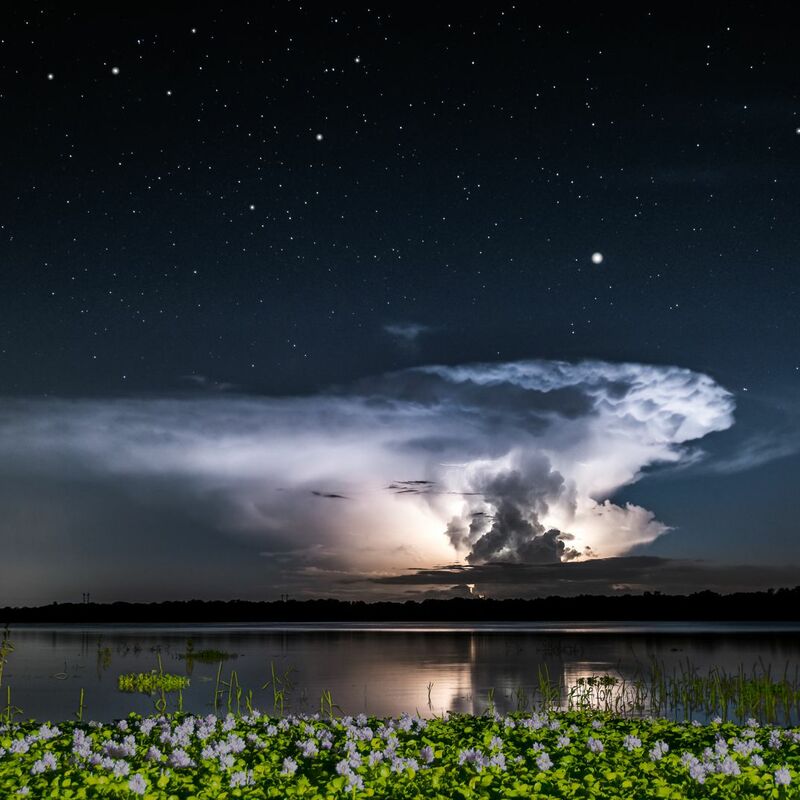 Lightning illuminates a storm over the Myakka River in Florida on the evening of October 1, 2018. Above the storm is Jupiter and stars in the constellation Antares. The water hyacinth in the foreground is lit by a flashlight.